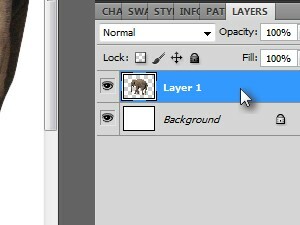 Click here to download the PSD file used in this lesson and open it in Photoshop. 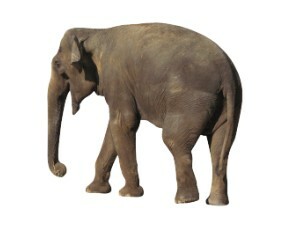 You should see two layers, white background layer and the elephant layer. 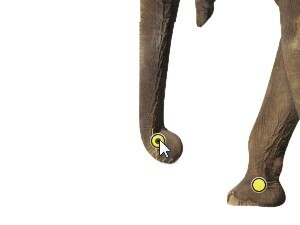 ... click Edit in the menu and choose Puppet Warp. 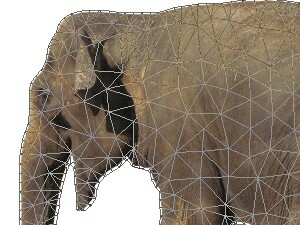 Elephant is now covered with the mesh. The mesh is there to help you with the transformation. 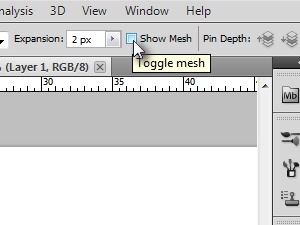 But for the cleaner view of this lesson, I'm going to deactivate the mesh by unchecking the Show Mesh option. 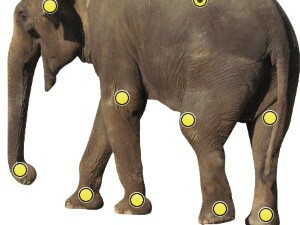 Now we're going to select the points where the transformations should take place. 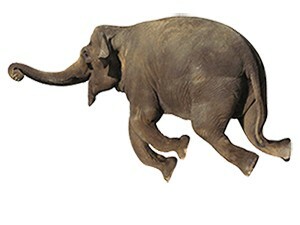 Let's continue, you'll see what I mean. 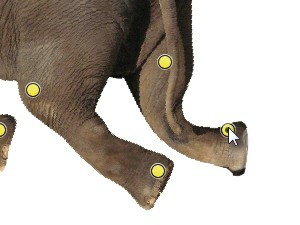 Click to pin point the end of the elephant's trunk. 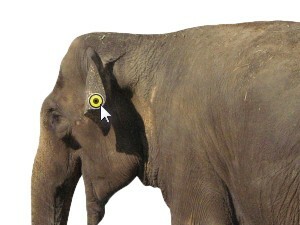 Pin point the elephants ear. Now select a few more points just like I did. 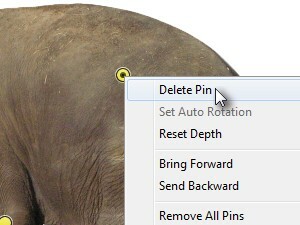 If you put more pins then needed, just right click them and choose Delete Pin. 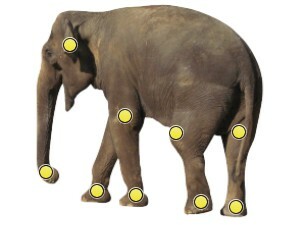 The elephants is pin pointed. 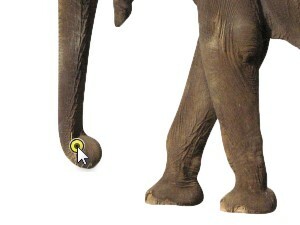 ... and drag the pin point upwards. 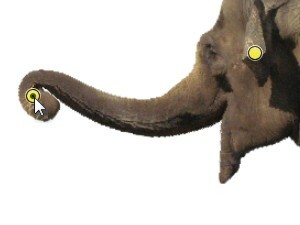 Now click and drag the remaining pin points in any direction you wish, play with it, make it your puppet. When you're done twisting the poor guy press Enter. Pretty nice feature, would you agree? Don't be shy and use the Forum.